Though we do our best to make it convenient to contact someone from our team, our parts team stays very busy and is only available during traditional business hours. 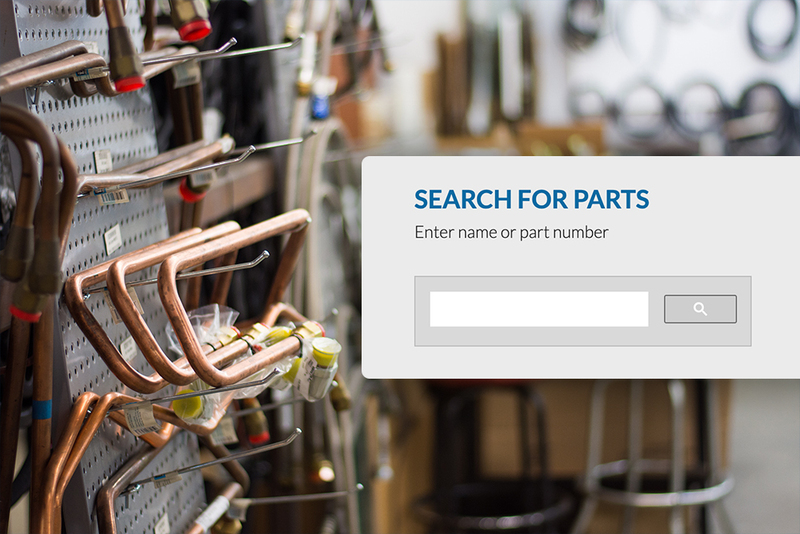 Luckily, our Parts Search Feature is always available to use 24 hours, 7 days a week. We know that when you are in the middle of business operations, needs can arise at any hour. Additionally, it is not always an option to drop what you're doing and call or email someone on our team to inquire about a part. It can take valuable time away from your operations but it is something that needs to get done. With our integrated search future, you can virtually access the thousands of parts we have in-stock in our warehouse. Whether it is a tie rod for your yard truck or an engine, we have parts that cover the entirety of your truck and its needs. If you are in a bind and need something as quickly as possible, it makes it convenient to quickly search for it on our site and then order it directly from there to ensure you get it as soon as possible to avert your issue. If you are in search of a specific part but it is not an urgent need, you can give Chuck a call to discuss your needed parts for his expert opinion before ordering a part for your Ottawa- either way, our team is here to assist you. Chuck Duggins, our Parts Manager, has been in this industry for 30 years now- with 27 years here at Louisville Switching. He is our go-to for all things Ottawa knowledge and he can be your trusted ally when it comes to any parts question you have. Even if you are the owner of an Ottawa Yard truck, we don't expect you to be an expert of all mechanical aspects of your truck. That's why Chuck is here! If your truck is making a funny noise or your door isn't opening as easily as it used to but you are unsure of the parts you need to get your truck back into proper working condition- Chuck or one of the other expert technicians on our team will have an answer for you. If you utilized our parts search feature as your first route to find your part did not find it in our stock, you can call Chuck. He will walk through the process of trying to locate, order, and ship your part to you so you get it in your hands. We understand that your truck needs are crucial to address quickly for your business operations and want to do our part to help make parts easily-accessible to our customers. Your satisfaction is important to us! You can access our parts search feature here or email Chuck at chuck@louisvilleswitching.com to inquire about any parts needs you have. We look forward to assisting you in any way we can! For any additional questions about how Louisville Switching can serve you today, contact us here.